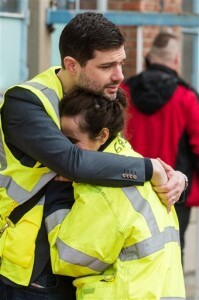 BRUSSELS (AP) — Bombs exploded Tuesday at the Brussels airport and in the city’s subway, killing at least 31 people and wounding dozens, as a European capital was again locked down amid heightened security threats. The Islamic State group claimed responsibility for the attacks. Authorities also released a photo taken from closed-circuit TV of three men pushing luggage carts, saying two of them apparently were the suicide bombers and that the third — dressed in a light-colored coat, black hat and glasses — was at large. They urged the public to contact them if they recognized him. Police later conducted raids in Brussels searching for one of the suspects, and found a nail-filled bomb, chemical products and an Islamic State flag in the search of a house in the Schaerbeek neighborhood, the state prosecutors’ office said in a statement. Airports across Europe — and in the New York area — tightened security. European security officials have been bracing for a major attack for weeks and warned that the Islamic State group was actively preparing to strike. The arrest Friday of Salah Abdeslam, a key suspect in the Nov. 13 attacks in Paris, heightened those fears, as investigators said many more people were involved than originally thought and that some are still on the loose. The Islamic State group claimed responsibility for the Brussels attacks, saying in a post on the group’s Amaq news agency that its extremists opened fire in the airport and “several of them” detonated suicide belts. It said another suicide attacker struck in the subway. 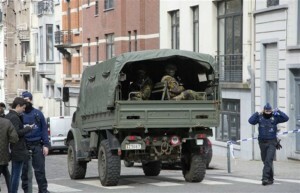 The post claimed the attack was in response to Belgium’s support of the international coalition arrayed against the group. Authorities found and neutralized a third bomb at the airport once the chaos after the two initial blasts had eased, said Florence Muls, a spokeswoman for the airport told The Associated Press. Bomb squads also detonated suspicious objects found in at least two locations elsewhere in the capital, but neither contained explosives, authorities said. U.S. President Barack Obama pledged to “do whatever is necessary” to help Belgian authorities seek justice. “We stand in solidarity with them in condemning these outrageous attacks against innocent people,” Obama said in Havana, where he was closing a three-day visit. Western Europe has lived for decades under the threat of violence from homegrown nationalist and revolutionary movements. Extremists from North Africa and the Middle East have attacked civilian targets without warning, ranging from France’s 1960s war in Algeria through Libya’s 1988 downing of an airline over Scotland to the 2004-05 attacks on the public transportation systems of London and Madrid. Tuesday’s explosions at the airport in the Brussels suburb of Zaventem came shortly after 8 a.m., one of its busiest periods when thousands of people were inside. Belgian Health Minister Maggie de Block said 11 people were killed and 81 wounded. Eleven people had serious injuries, Marc Decramer of the Gasthuisberg hospital in Leuven told broadcaster VTM. The nails apparently came from one of the bombs. Zach Mouzoun, who arrived on a flight from Geneva about 10 minutes before the first blast, told BFM television that the second, louder explosion brought down ceilings and ruptured pipes, mixing water with victims’ blood. Video from moments after the blasts showed travelers huddled next to check-in counters and lying near luggage and trolleys as dust and the cries of the wounded filled the air. Dazed people stumbled from the scene, some with clothes and shoes blown off. Anthony Deloos, an airport worker for Swissport, which handles check-in and baggage services, said the first explosion took place near the counters where customers pay for overweight bags. He and a colleague said the second blast hit near a Starbucks cafe. “I jumped into a luggage chute to be safe,” Deloos said. The airport was ordered closed for the rest of the day and CEO Arnaud Feist said the facility would be shut at least through Wednesday. About 600 flights in or out of Brussels were diverted or canceled, Muls said. At least one and possibly two Kalashnikovs were found in the departure lounge at the airport, according to a European security official in contact with a Belgian police official who spoke on condition of anonymity because he was not authorized to talk about the ongoing investigation. It was not immediately clear if the firearms were used in the attacks. Travelers fled the airport as quickly as they could. 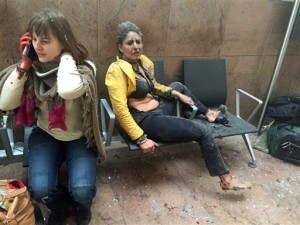 In video shown on France’s i-Tele television, men, women and children dashed from the terminal in different directions. Security officers patrolled a hall with blown-out paneling and ceiling panels covering the floor. 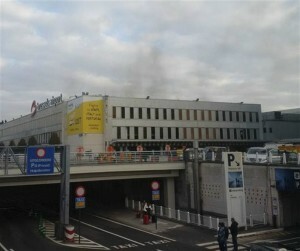 Three Mormon missionaries serving in the Paris, France mission were seriously injured in Tuesday’s explosion at the Brussels airport, The Church of Jesus Christ of Latter-day Saints reported this morning. 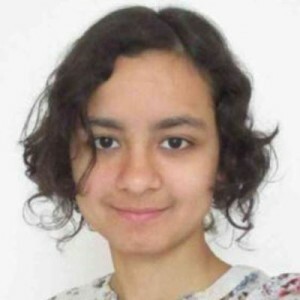 The missionaries were taking Sister Fanny Rachel Clain, 20, of Montélimar, France, to the airport. Sister Clain had been serving in that mission while awaiting a permanent visa for the United States. It was later learned that Clain was also injured in the incident. 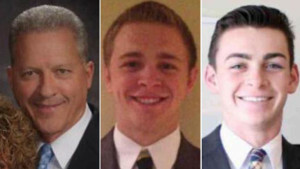 Excepting the statement from the LDS Church about the three missionaries, Associated Press Writers Raf Casert in Brussels, Angela Charlton and Lori Hinnant in Paris and Paisley Dodds in London contributed to this report. Ahhhhh, the you really have to love how these guys are spreading the peace of islam- one piece of muslim at a time. It’s odd though, that these workplace violence incidents are happening in Europe. I distinctly remember being told that there was no terrorist threat. I distinctly remember being told that these people were only looking for a better life. I DISTINCTLY remember some of the people that told us these things. Ed the Liberal Hippy told us that. (Hugs and rainbows will make them love us! )- Okay, I paraphrased that one. Hmmm, someone must have been lying. While we’re banning people based on their religious preference because a few of them Committed terrible crimes, Why don’t we ban all Mormons too? Joseph Smith, a Mormon, married a 14year old girl. Warren Jeffs, a Mormon, sits in prison for the same crime. John D. Lee, a Mormon, was executed for his role in the largest mass murder in U.S History. Brian David Mitchell, a Mormon, kidnapped Elizabeth Smart. I could go on. Should we really ban all Mormons because a few of them were criminals or terrorists? Of course not. Didn’t you rail on in in another reply about how everyone in this country is innocent until proven guilty? Why are Muslims different? Why should we ban all Muslims based on the actions of a few? Of course not. Do you know how inept the ‘screening process’ is for the muslim refugees? DO you notice the dramatic increase in the SPECIFIC types of violence that happen in the countries with open borders? Innocent until proven guilty- an American citizen’s right. Not an ‘immigrant’ from a country that consistently preaches it’s hatred of the Western world that they still seem to flock to, and consistently produces terrorists. Not an influx of people from a land where they are taught to infiltrate the infidels (by the way, we are all infidels to them). Why not just open the prisons and let all those poor criminals out while were at it? In rainbow and butterfly land everything can be solved with a hug and butterfly. And by the way, there is a BIG difference between an American and a muslim terrorist- one wants peace; one wants you in pieces. And the difference between a Patriot and a domestic terrorist is a Patriot respects and follows the law passed by WE THE PEOPLE and domestic terrorists commandeer a bird sanctuary in Oregon because they don’t want to pay their fair share like everyone else. Speaking of the Bundy’s, they’re Mormon too. Actually you can be branded a domestic terrorist for a lot of reasons. A Patriot respects and follows the constitution. Was Rosa Parks a domestic terrorist? By your definition, yes she was. Was it an unconstitutional law? Yes it was. Yet at the time, ‘we the people’ allowed the government to pass that law. What about the colonists who sought to free themselves from British rule? Domestic terrorists by your standards. Did you support the gay marriage reform? The law (we the people) was against it before- you were a domestic terrorist! In fact, any opposing view to the government mandates CAN get you labeled as a domestic terrorist. Ever been to a protest? You seem like the type to go to a protest. Your presence and participation in the protest can get you labeled as a domestic terrorist. Guess what- I’d be just as vocal about standing up for your rights as I am for others. The thing about being labeled a ‘domestic terrorist’ is that it demonizes that person or group. No one wants to stand up for a ‘terrorist’. As for your ‘pay their fair share’ mantra- do you really think Oregon was about paying for grazing fees? Are you THAT misinformed? It was a case of BLM strong arming ranchers out of their land. What exactly is ‘fair share’ to you? Everyone pays the same amount of taxes? Nope. I pay WAAAAY more than any of my neighbors. You want to go on a sliding scale, based on income? Okay, ranchers should be paying less in taxes then; they don’t make much after auction. ‘Fair share’ was a term invented by politicians to split people into an ‘us vs. them’ mentality. Just say it. You blame ALL Muslims. I’m sure you’re on the Trump bandwagon where you can blame an entire group for the actions of a few. The guy in Colorado who shot up and killed innocent people at planned parenthood is a Christian – just ask him. The Bundy clan from Bunkerville are Christians – they are domestic terrorists because of what they believe their God wants them to do. Who was it, Arthur Gary Bishop, from Hinkley, Utah (? ), a Mormon (who thought he was a Christian), who kidnapped, raped, and murdered little boys. Some may say that Christians are evil. You may be able to rationalize your bias toward all Muslims in you tiny little mind, but in all fairness you should hate all Christians as well. In your mind, what is the “final solution”? Yeah that RealMcStupid is quite the blow hard !